Yvette Fielding took her team to a haunted house in Coalville, not much is known about the property's history but there are rumours of suicide, multiple murders and bodies entombed under the building's terrifying cellar. 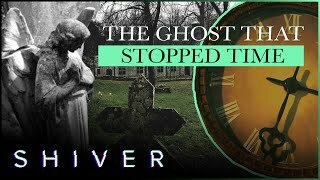 Usually before embarking on a ghost hunt, the Most Haunted team are pretty convinced that they are going to find evidence of paranormal activity. But, for the first time I can recall, in this episode Yvette seemed a little skeptical, and of course the show's skeptic, Glen Hunt had some thoughts on the claims of the house's gruesome past. Is The Old House Haunted? The Old House certainly has its fair share of dark stories, the house is said to be plagued with bad fortune, and countless people have reported seeing ghosts here. Most of the spirits that haunt the building are said to be those of a family who are believed to have been slaughtered here. One evening their father had come home for work as normal, but later than night he killed his wife and children in the dead of night. Some even claim that their bodies were entombed beneath the foundations of the dark, dank, cellar. This area of the house is said to be haunted by an angry, negative spirit. Visitors to the house have reported seeing a dark shadowy figure, and many have heard the spirit yell "get out". Glen says that because the house was built in 1878, it's only 139 years old. Usually when you hear stories like these, you imagine the events taking place centuries ago, rather than less the a couple of hundred years. He said, "I haven't seen any research which backs up the stories." Yvette seemed to agree with Glen, asking him, "if there were bodies underneath the floor and they were connected with the family that were murdered, wouldn't there have been a murder enquiry?" "Exactly," Glen replied, "or was there a cover up? I haven't seen any press cuttings of that." As for the basement itself, which is said to be a grim places, horrible feeling of not wanting to be down there. Glen explains that there is "no natural light coming in, very damp, all the conditions that make people feel claustrophobic." Again, Yvette seemed to agree with Glen's skepticism, "why is it there's always a nasty entity in the cellar?" Another part of the house which is said to be haunted is the attic, where it's rumoured that a woman hanged herself. Since her death the attic space has been haunted by dark shadows, and the violent slamming of doors. No one knows why she killed herself, and like the murders, the death doesn't seem to have been recorded anywhere. Glen said, "I'm not sure about that, there's not enough room to swing a cat in here, let alone a human being." The attic is very low and narrow, it's divided into several small rooms, which are separated from one another by low doorways. This makes the attic the last place in a house where someone is likely to kill themselves, "I think the only place someone could have hanged themselves in this building is over in the stairwell". But despite his skepticism, Glen was still up for an open-minded ghost hunt, "lots of people are saying the same sort of stories over a very short space of time, so for the evening, let's just go with it." Yvette decided to brave the dark, creepy cellar, protected by her husband Karl Beattie. The cellar may sound terrifying but it was actually hilarious, a real laugh-out-loud moment. As they descended the stone staircase into the darkness, Yvette asked Karl, "why do you always make me go into the cellar?" Karl's reply, "because it's haunted, that's why". Straight away Yvette felt uncomfortable in the basement, saying she has a "horrible feeling down here". It wasn't long before they heard knocking emanating from the stone walls. They managed to communicate with the spirit of the cellar using the old trope of two knocks for 'yes' and one for 'no'. During their time in the basement, the duo heard some terrifying knocks, bangs, creeks and thuds, as well as a definite whistle in response to Yvette's prompt to copy her's. Eerily, whatever inhabited the basement answered "yes" to Yvette's question, "do you mean us harm?" When Yvette though she saw something in the main corridor that runs through the cellar, things started to get amusing. In response to Yvette's sighting, Karl ran out into the dark corridor, armed with his camera but unfortunately neglecting to take his wife with him. Of course, Yvette wasn't too impressed by this and told Karl off, but his bad behaviour had only just begun. No sooner had Yvette finished her dressing down, Karl started calling out to any spirits present by saying, "come on you horrible piece of crap!" Again, Yvette wasn't impressed, "can you not say that, because you're enticing it". So, Karl went to to the opposite end of the scale and and sarcastically shouted out to the undead, "OK, sweetheart can you show yourself?" It was a really funny moment, of course the only person not laughing was Yvette. Karl then reverts to abusing the spirits, "come on you piece of s**t, do something! Punch one of us, kick one of us". Then pushing his luck further, led Yvette along the slippery, muddy passageway and when she almost fell over, Karl struggled not to laugh. A still-angry Yvette snapped, "I know you want me to fall over, I can tell by the look on your face". But Karl defended their trek across the treacherous floor, "there's something down here, we need to find out what it is". Yvette was having none of it, "but I can't bloody walk can I because my shoes, I'll fall over... don't pull me!" It wasn't long before Yvette had had enough, "I feel that if we need to get out quickly, I'm going to fall and hit my head and die," Karl agreed it was probably time to leave the cellar, but not before Yvette made him promise her to buy her new shoes to replace her muddy ones. It was definitely the funniest moment of any ghost hunting show I've ever seen. Fresh from their time in the basement, Yvette and Karl joined up with the rest of the team in the house's attic. The gang again made contact with a spirit through a series of taps and knocking, a deduced that they were in the presence of a young girl. Yvette asked, "do you want to play?" And the spirit indicated "yes". The attic is now used to store sports equipment, so Yvette grabbed a ball and rolled it into an adjoining room, "if I throw this ball, can you throw it back?" As normal, Fred became worried that something more sinister was trying to make itself known, and again Yvette tried to clarify "do you mean us harm?" In response they heard some violent knocking and even whimpering. Just as they were about to split up again, a ball came rolling towards Karl as he walked through one of the low doorways between the rooms in the attic. Glen found this evidence quite compelling, according to him the ball "came from nowhere" and there was no one in the room that it came from who could have thrown it. Speaking to Karl, "I had eyes on you guys, if that came from this room I can't see how because there was no one in here." Most of the team remained in the attic, but Yvette and Karl headed back down to the cellar, this time they took camera man Gregg Smith along with them. This time the paranormal investigators decided to try a ouija board to contact the evil presence in the cellar. The team placed their fingers on the planchette which moved quite quickly across the board. Yvette asked the spirit to spell out "a name, a message, anything". The board obliged by spelling out the word, "DIE". 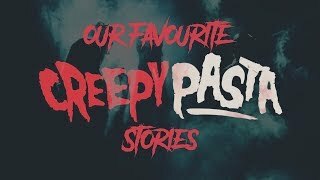 They then heard a noise from outside the small room in the cellar that they were in, they left the room to investigate the noise and as they were walking out of the room, there was a crash behind them which turned out to be the planchette hitting the floor, having been thrown across the room. Taking this as a sign to continue with the ouija board, they once again place gathered around the board and witnessed it spell out "GO". Yvette asked the question, "if we don't go, what will you do to us?" The board replied with "KILL". But Yvette wanted to know more, "how? How will you kill us?" After receiving an answer which was unbroadcastable, the team heard a prolonged, breathy growl. With that Karl announced that they have a choice, "we do one of two things, runaway like pussies or we need to go and find it, and it's down there". Yvette and her team spent a few more minutes in the cellar trying to track down a spirit which Yvette described as an "evil, vile person. If he could, if he was alive, he'd kill us all". As the team were finally made their way out of the cellar, whatever haunts it had one more scare for them. Just as they were heading back up the stone stairs, a sweeping brush was throw across the length of the cellar. Yvette shrieked, "oh my God, that is so f**king freaky", the brush, which was previously leaning up against the wall at the other end of the cellar, was thrown with such force that the head had broken off and the handle had snapped in two places.